Just click the image to download this free bingo game. I love playing bingo with my little kids (my older kids like to play it too) especially when they're learning something at the same time. 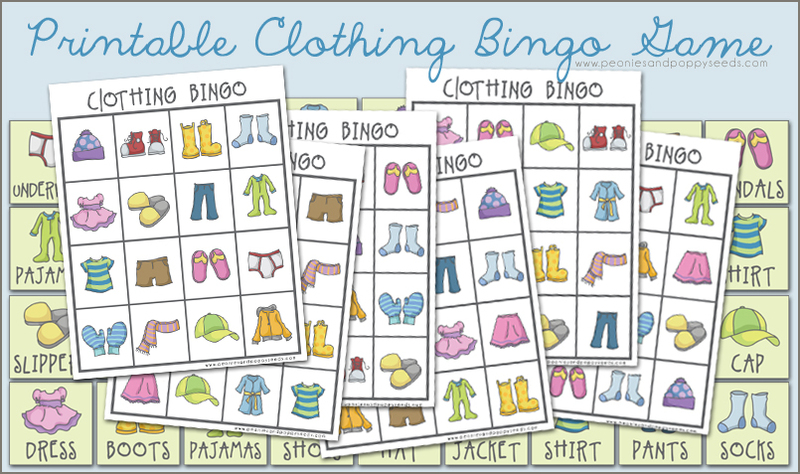 This is a great printable game for young kids who are learning the names of clothes and covers 18 articles of clothing from underwear to scarves.